Kosei students enjoy using English every day. Their goal is to use English as a tool for meaningful communication. 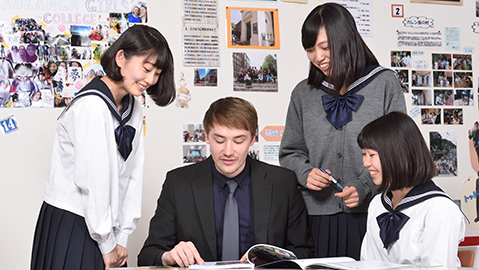 Here at Kosei, students don’t simply encounter English in class, they are exposed to English in a wide variety of situations. An important aspect of our English language education is that students have the chance to enjoy communicating in English in their everyday school life throughout the year. Students engage in a wide range of activities with native speakers in English, such as games, interview tests, presentations, speeches and recitations. Through these activities they not only acquire English language skills, but learn to enjoy using English as a communication tool. That enjoyment becomes confidence, and this translates to higher achievement across all subjects. Becoming a confident communicator in English gives students more future options. When students realize that English is a skill not just for now, but for the future, it opens up a world of potential. Not only do students have classes with our five full-time native instructors, they can also interact with the English language in a variety of ways. We have signs and posters in English throughout the school. There is an English announcement every morning, and students also have access to English language newspapers. What’s more, the students can talk with the native teachers in our Global Centre. They also have chances to make speeches and presentations in English. In these ways, we have created an environment where our students are naturally exposed to different cultures and perspectives. In order to develop a true understanding of the world, it is important to learn not only the language, but also about the culture and learning styles of other countries. This is why we operate an English language immersion program. This program includes practical art and music classes taught by native speakers of English. An important aspect of our school is that students can choose from a wide range of study abroad programs. 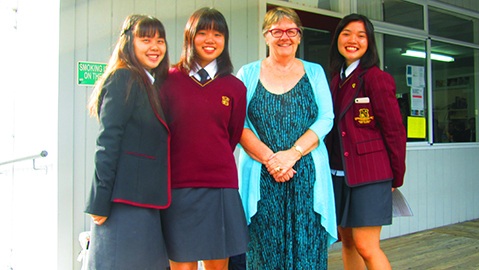 Junior high school students enjoy a school trip to New Zealand, while high school students travel to England for their school trip. What’s more, those who wish to can take part in our junior high school study abroad program and our short term study abroad program. This gives them the chance to put the knowledge that they have gained in their English classes to use. Every year, in June and October, the whole school works together to take on the challenge of passing the Eiken examinations. Students take part in the “English Vocabulary Challenge” each morning. They spend 25 minutes learning and remembering vocabulary words appropriate to their level. 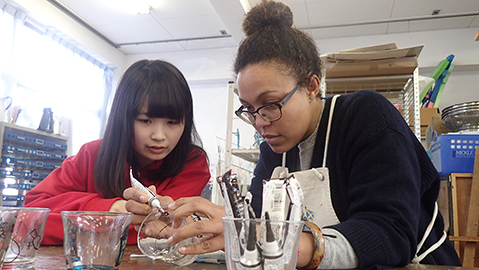 Students have the option of joining after school lessons where they learn tactics for the Eiken examinations. Each class displays a chart showing how many vocabulary sheets each student has completed. 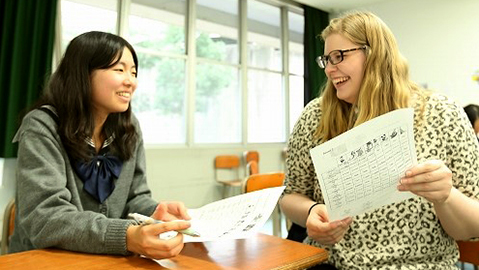 Students can practice for the Eiken interview test one to one with our native teachers. Teachers also get involved in the exam preparation. 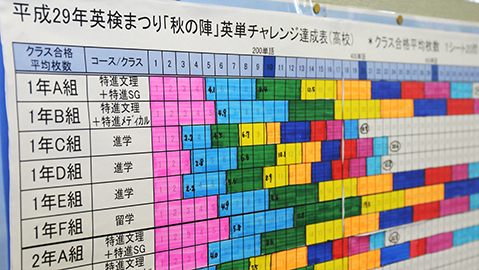 This means that the atmosphere within the school in the run up to the Eiken exams, really does feel like a festival. All the students work together towards their shared goal, and enjoy encouraging and challenging each other. This helps to improve overall performance greatly.